today, i wrote you a wee 'how-to' based on something that i am very qualified to instruct people in. feel free to print it off and make a little booklet to carry around with you in your purse, so that you will not forget any of its good advice. if it doesn't make you happy, get out of there! this includes, but is not limited to, relationships, volunteer positions, pets, and everything else. being yourself is not a good way to get to the top. find out what people you need to impress, find out what they like, and be that. 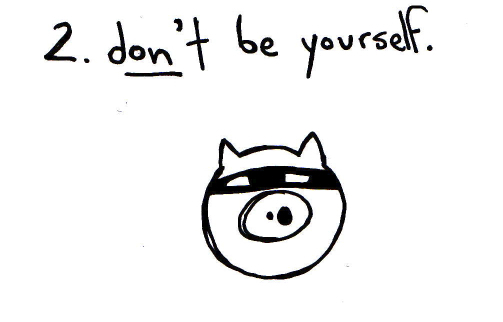 if you're going to be a selfish pig, you aren't going to have very many real, deep friendships anyway. be chipper and cheery to people you want to like you, and don't worry about even smiling at people who aren't going to get you anywhere. this is a lot easier on you, because you don't have to actually BE a good person, you just have to act like one sometimes. think of it this way: you are the star of this show. the main character. your emotional highs and lows should be more dramatic and more important than anyone's. you need to think of a reason why each occasion is somehow about you. birthday party? bring the best gift. prom? steal the dance floor. funeral? make sure everyone knows that this was your best friend, and that you are the saddest ever. on the drive home, you need to be sure that everyone is going to be talking about you. even if they're on the way home from their own wedding. 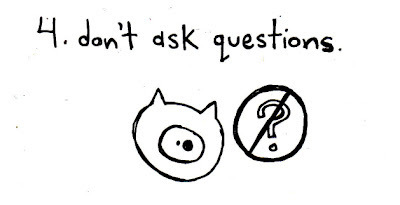 the problem with asking questions is that it makes people think that you are interested in them, in their lives, their problems, their interests, their whatever. you should be answering questions, not asking them. a friendship for a selfish pig should be half shallow and half deep--they should know and remember everything about you, but their life is probably boring, so don't worry about it. always have a good story on hand, in case they don't have a question to ask. the problem with thinking too much is that you might at some point come to the conclusion that it is "bad" to be a selfish pig. you might consider that you've hurt someone's feelings or not been a very good friend, and then you might feel guilt, and guilt is a horrible feeling. 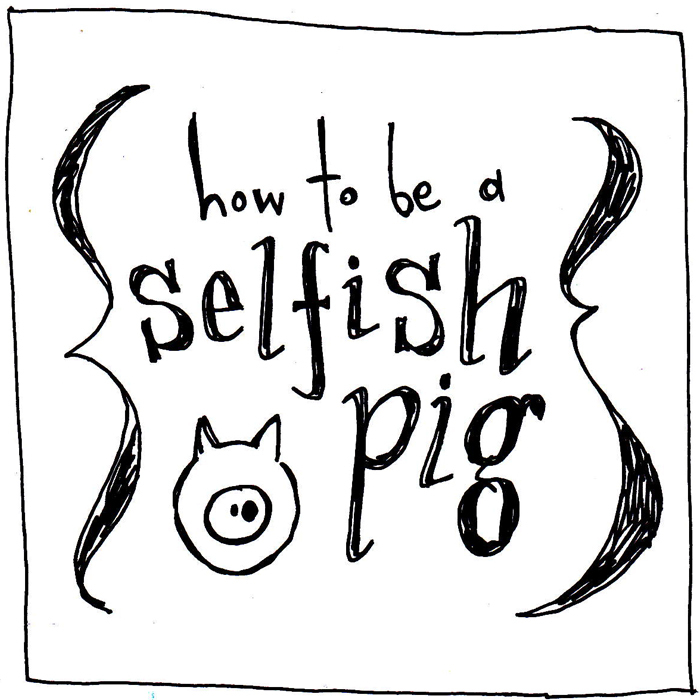 the fact is that if you are a selfish pig, the only thing you should think about is YOU. if you catch yourself wondering if you should volunteer to help clean up after your friend's wedding dance, refocus. you're tired. you're not the one getting married. you're not getting paid. go home. this is SUCH A CRUCIAL SKILL FOR EVERY SELFISH PIG: the ability to convince yourself and others that you are not in the wrong in any way at any time. at first, you will need to work very hard at convincing yourself that your actions are justified, but once you have that mastered, it becomes almost second nature, like riding a bicycle. you don't even have to think about it anymore. then, you can begin the work of justifying your actions to those around you. this can also be tricky at first, but when paired with rules #1, 2, and 5, will quickly become easier for you as well. this is by no means a complete guide book, but these six easy steps will have you well on your way to being a fantastically selfish pig. i have confidence in you that you'll get along very well: after all, being a selfish pig is actually most peoples' first impulse.